“The Fantastic Duo” is a poem by Deceptive Cheese (pseudonym). The narrative depicts a battle between the depression and anxiety that plague the author. Throughout the struggle, each illness wins a round, leaving the author painfully defeated. 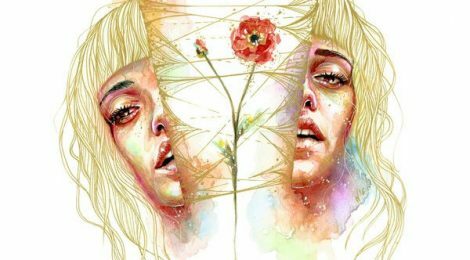 My Depression and my Anxiety are in an epic love affair. and end up falling in each other’s embrace. is a civil war within my brain. and sits on my chest. they are weaved of steel. he likes to pretend that he’s the good guy. and they devise the different ways they could kill me. and likes to toy with the various buttons I apparently have on the back of my head. His favorite one is my homework. and Anxiety would have me all to himself. I’d probably just sprain something. when I checked over the weekend. it wouldn’t hurt as much as it does now. but the only one destroyed is me.